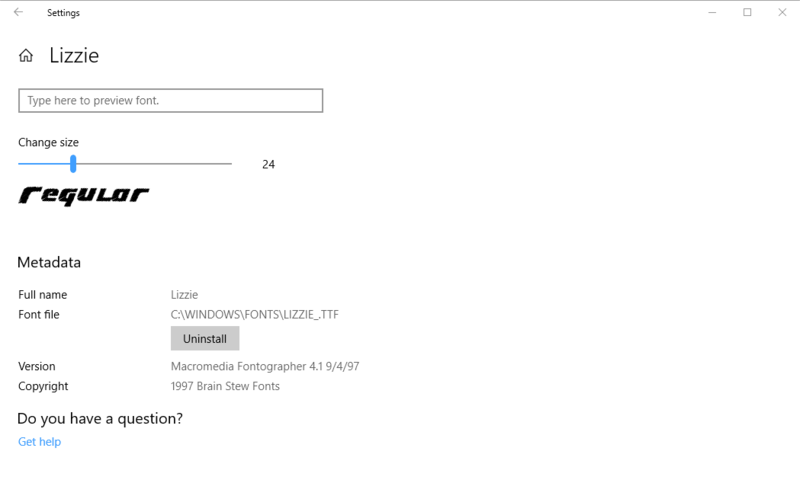 Windows 10 comes with a great many fonts (otherwise known as typefaces) installed and you can use these to enhance your documents and presentations. Knowing what fonts you have installed and what they look like though can be difficult. In Windows 10 you can open Settings > Personalisation > Fonts to see graphical representations of all the installed fonts and what they look like. Clicking on any font can give you more information about it, such as the font name and its file location on your PC. You can also enter text to see what a particular phase or combination of letter, numbers, or symbols will look like, along with a slider to help you see the font at different size. 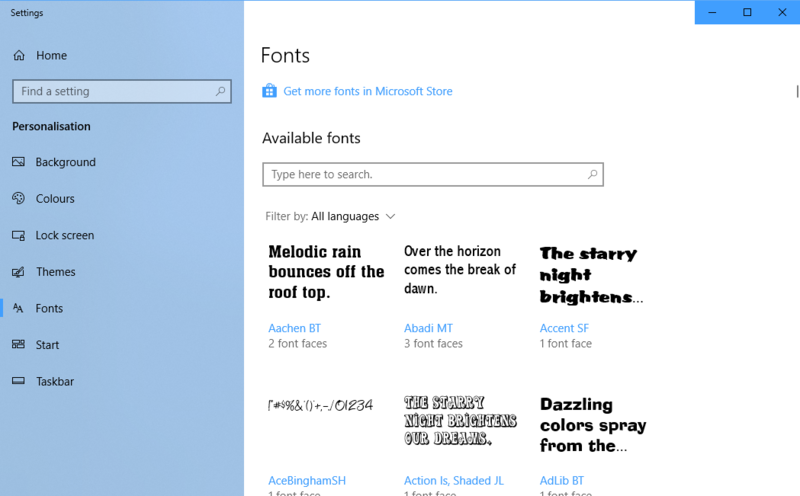 Back at the main font screen is a Get more fonts in Microsoft Store link, which you can click to purchase more fonts for your PC, and install additional fonts that Microsoft provides for free for Windows 10 users.